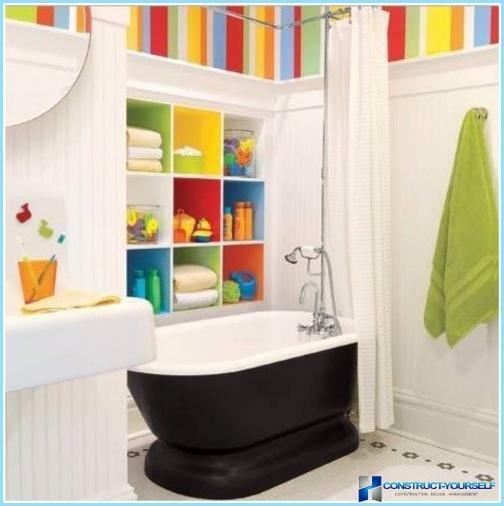 Every bathroom should not only beattractive appearance, but also to be functional. Of course, a beautiful renovation and quality sanitary ware solve almost all the problems, but to do both in the full extent, can not do without a variety of accessories for the room. 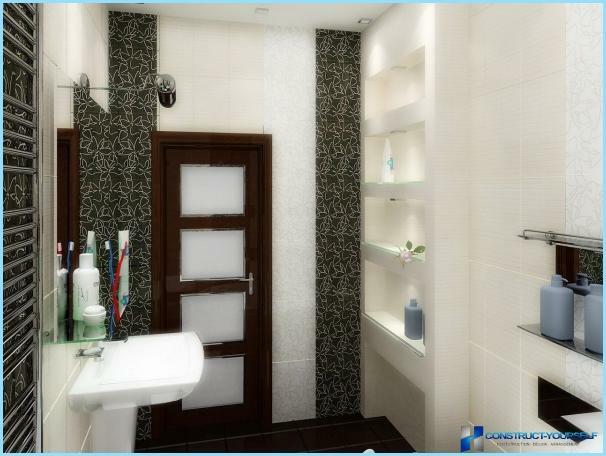 In particular, a great functional and aesthetic role played by the various shelves for the bathroom. Range of shelves for bath almostunlimited. They are made of different materials (plastic, glass, stainless steel, etc.). Furthermore, they differ in method of installation. There are hanging, floor, corner and recessed shelves. To find out more detail with each method, consider every detail. Such shelves are especially popular. However, to install them should be carefully, especially in the bathroom small, as their main drawback is the "theft" of free space. In order not to reduce the already small room should be set in their places where space is already occupied. For example, on the washing machine. Successfully cope with the installation of this accessory can be a matter of minutes. It will only drill a couple of holes in the wall, insert screws in them with hooks and hang the shelf. Also, as in the first case, they are secured on the screws. Accordingly, for this you will need a drill. If this tool in their arsenal is not, you can purchase a telescopic accessory. In this case, it just expands between the ceiling and the bathroom. Also, corner shelf is sold with a suction cup of the mount. Installed it is very convenient, but it is worth considering that it is able to withstand very small load. 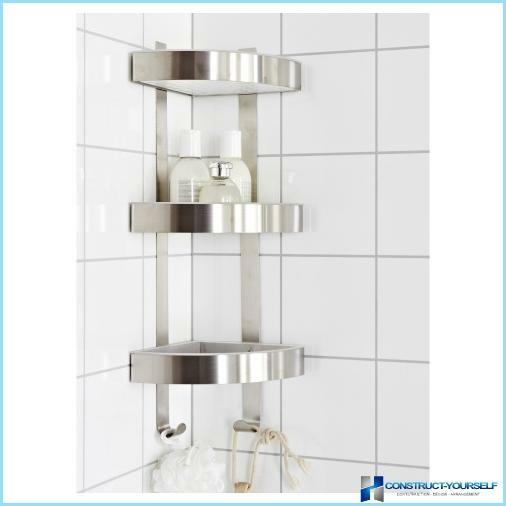 View examples of angular shelves in the bathroom is on the photo data. 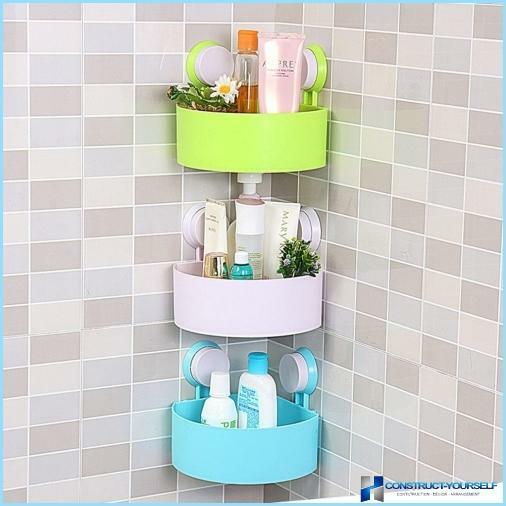 Outdoor shelf in the bathroom will be an excellentsolution for those who can boast a spacious bathroom. 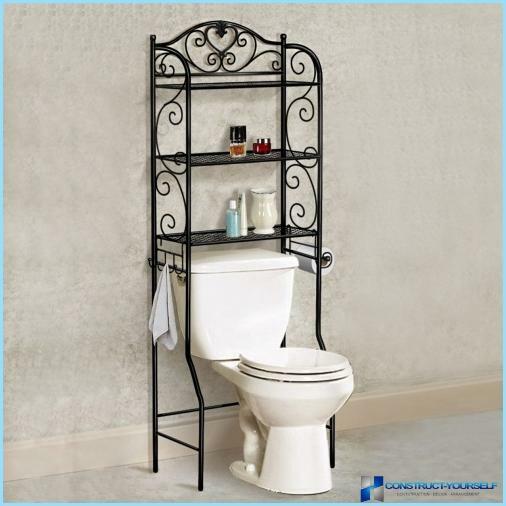 It will serve as a wonderful object of decor in the bathroom. In addition, this regiment more capacious than the above analogs. In addition to detergents, it can fit towels and other bath fixtures. In addition, a stationary accessory is manufactured in two versions: the near-wall and corner, which also can allow efficient use of the free area. 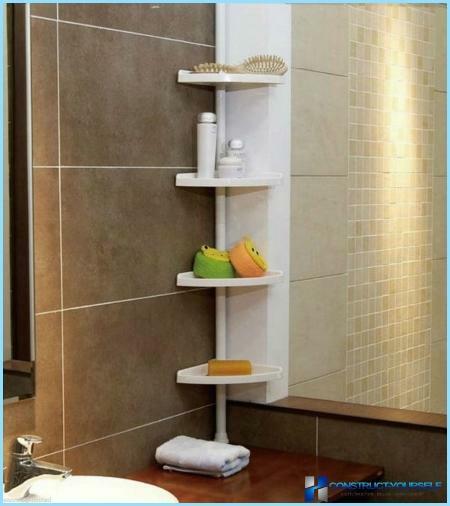 To make your bathroom a unique andthe original can be set embedded in a wall shelf. Its feature will be the fact that it can be installed anywhere and decorate a variety of ornaments. However, it will cost much more expensive, because it is often made master. But there is no doubt that the costs themselves more than justified. With kinds of shelves for the bathroom is clear. But it is also important to know all about the materials from which they are made. Even when choosing accessories is important to understand all the advantages and disadvantages of each. It depends on the final details of the appearance of the room. 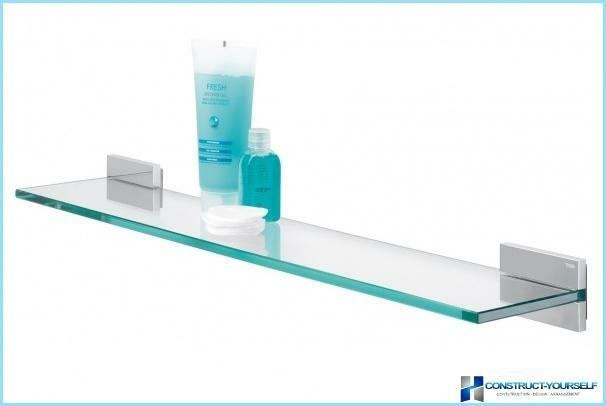 Glass shelves are especially popular in bathroomsthe rooms are small. They always look stylish and elegant. In addition, when used skillfully, they greatly expand the room. 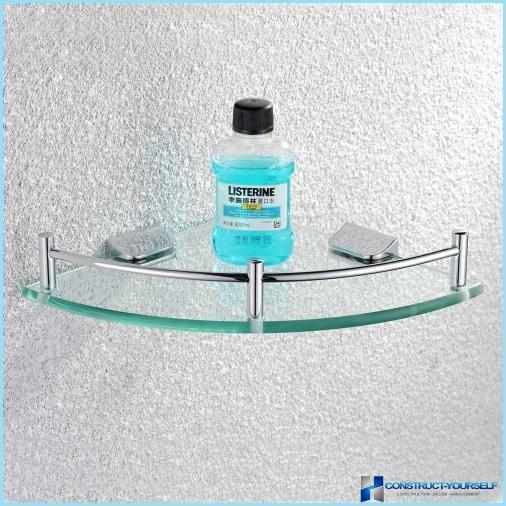 The main rule of glass accessories - do not pile up plenty of toiletries. Only then they will be almost invisible and thus expand the space. Otherwise, this item will look ugly, and the room will seem slightly less. Externally, the glass shelves is enoughare varied and can be installed on a straight wall or in a corner. Additionally, the subject of this material can be made in almost any color and in any form that can emphasize any design. If in addition to the shelves and arrange the furniture partsome plumbing glass inserts, such as frosted glass on the shower glass door on the bedside table, etc., the overall style is harmoniously skomponirovan. In addition to the transformation of the room, glass shelves have other important advantages. The only drawback is that in the case of poor attachment, the regiment is likely to break and leave with traumatic fragments. Council! When buying the shelves, it is recommended to buy replacement materials for attachment, since those are included, often of poor quality. 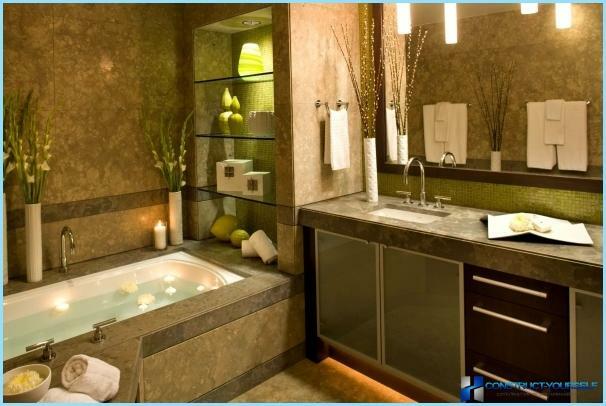 View examples of glass shelves in the bathroom interior can be in the following photos. 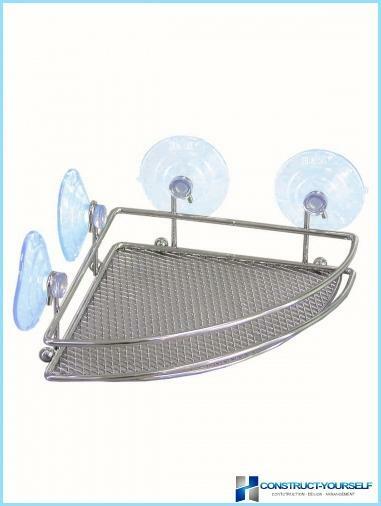 Functional accessory stainless steel fine and absolutely not afraid of water. Moreover, it perfectly fits into the strict design of the room. The advantage of a variety of forms. Round, oval and semicircular. This option, in spite of the cool shades, some soften the interior. To achieve the opposite result, that is to make the room more strict, you can use square and rectangular shelves. The angular design of small size will be invisible, but it can accommodate a fairly large number of different bottles, tubes and other bath accessories. Visually expand the room, you can set the design of several horizontal shelves. 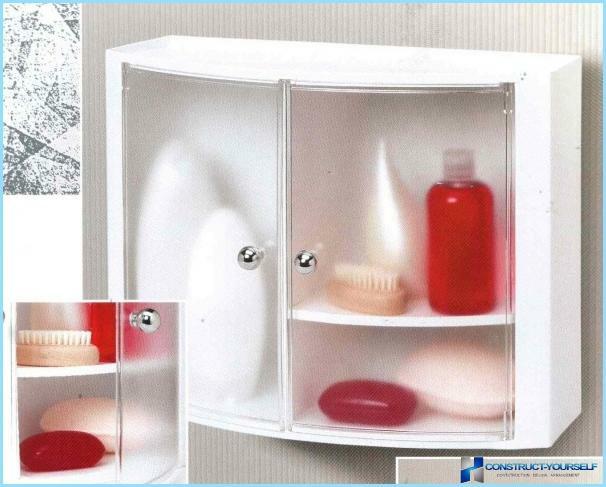 If you wish to hide a variety of hygiene products, you can use the shelves with doors. 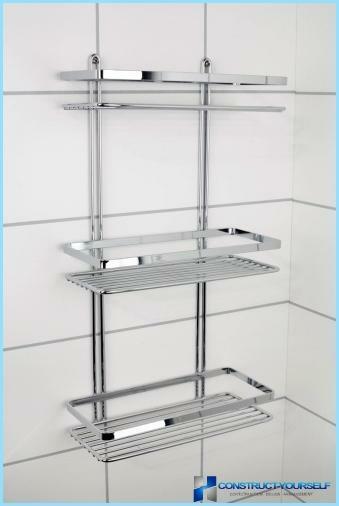 It is also used for the bathroom shelf with a heated towel rail. 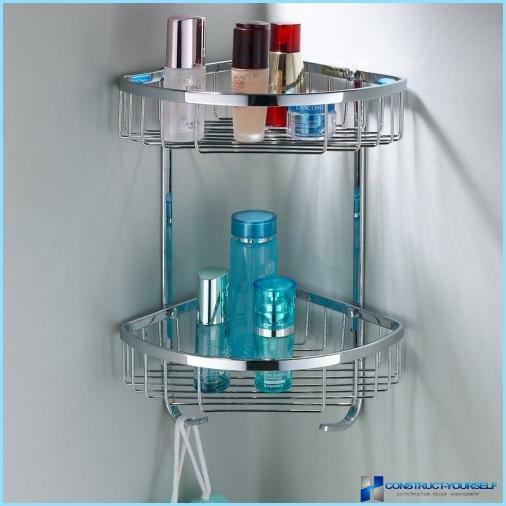 Shelves for bathroom stainless steel roomdurable, aesthetic, stylish and durable. But despite the advantages of data, they are not recommended to be put in the bathrooms especially with high humidity. The rooms where ventilation is not functioning properly laid, the moisture lingers. And, despite the fact that stainless steel, in a constantly damp environment it will start to be covered with dark spots. 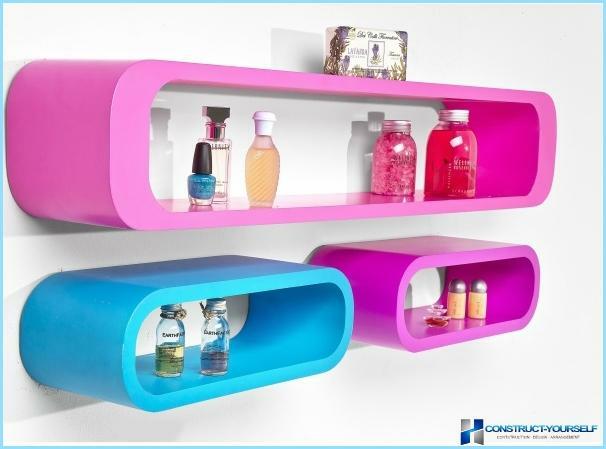 Shelves made of high quality plasticmost diverse in form and in color. 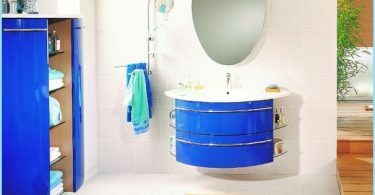 Due to this, even in the bathroom can be refined to pick a decent accessory that will brighten up any interior. Although at first glance it may seem that the plastic is mainly used as consumer goods. A variety of forms (although this advantage have virtually all the shelves of other stuff). However, as in the previous versions do without drawbacks. After a while, the subject begins to fade. You can also find a plastic shelf for the bathroomrooms with different coating, such as gold. This method will give not only the color of expensive material, but also its texture. So apparently this thing looks quite expensive and solidly. Normal shelf, though desired, but stilloptional accessory. But without a mirror can not do. However, for most of its functionality is often complementary to the various shelves. The main objective is the convenience and versatility. 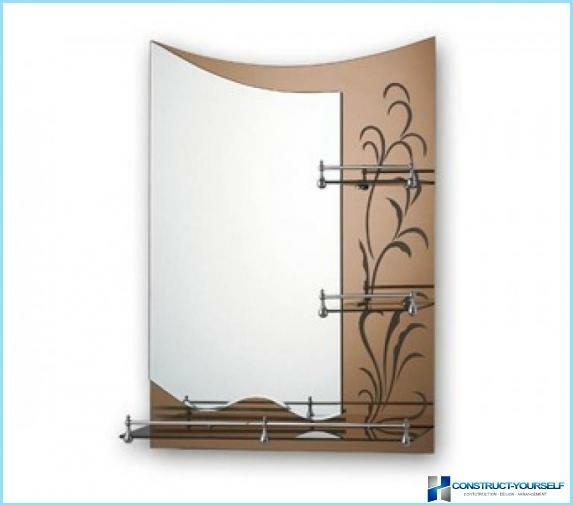 And although the design fades into the background, you can pick up quite a stylish mirror. 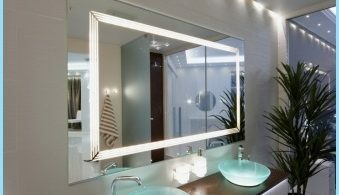 In the first case the mirrors are designed foreveryday use. Panorama can also perform this function, but they are larger and serve not only to perform their duties, but also as a stylish decorative elements. 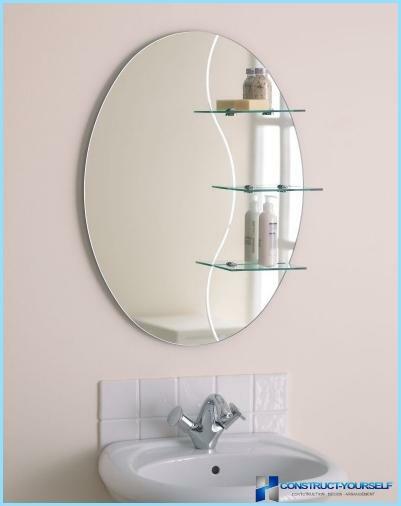 Typically, the mirror for the bathroom areslightly more expensive than usual. This is because such an object has a special layer that safeguard against moisture. It is located on the back side of the mirror. In order not to be deceived, you should be able to choosethis accessory. When choosing a mirror, first of all should pay attention to the back side. It would be best if the coating will have a lighter shade of green or blue. This suggests that the object really is suitable for wet areas. If the back of purple, so the mirror is designed for conventional dry rooms. 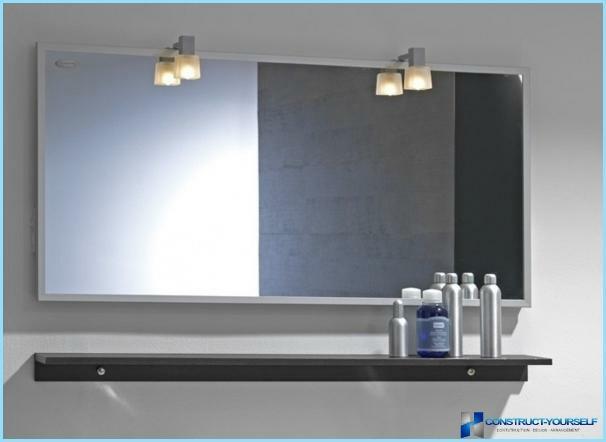 Stock shelves with a mirror in the bathroom can be seen below. 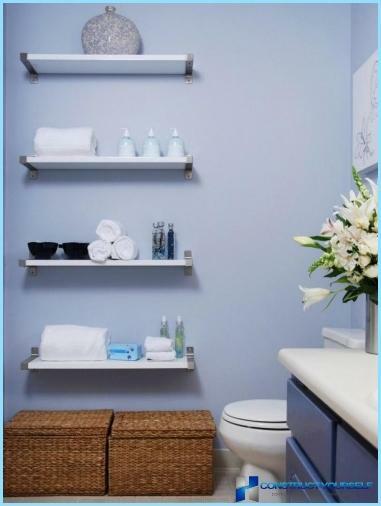 Shelves in the bathroom can be made with your own hands. The most common material for the manufacture of glass and drywall are. In the first case everything is quite simple. 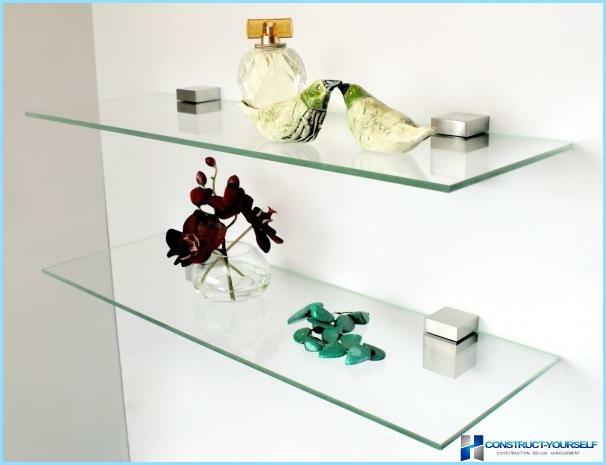 It is necessary to determine the size of the shelves, the master ordered the glass and attach it to the wall with decorative holders. Council! To ensure complete safety, you can round off the sharp corners. Craft product made of plasterboard can bein several ways. You can make a frame made of a material and combine it with special screws. For those who have decorated the walls with plasterboard fit this option. In the wall you can just cut different sized niches, which will serve as shelves for various devices. To clearly see how these accessories are installed, it is recommended to see this video. 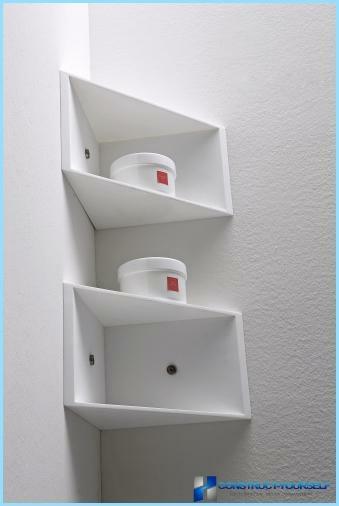 In this example, a method of mounting a corner shelf for the bathroom.